See, o'er yon pasture, how they pour along! Top border curved, no lower border. 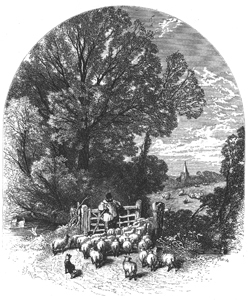 Illustration to 'Spring' section of poem. Appears below ''Midst Nature's revels [...]'. Illustration title from contents page.